The acreage also includes Parcel #172313351003. Looking for a small home in the country with tons of potential and willing to put in some elbow grease? 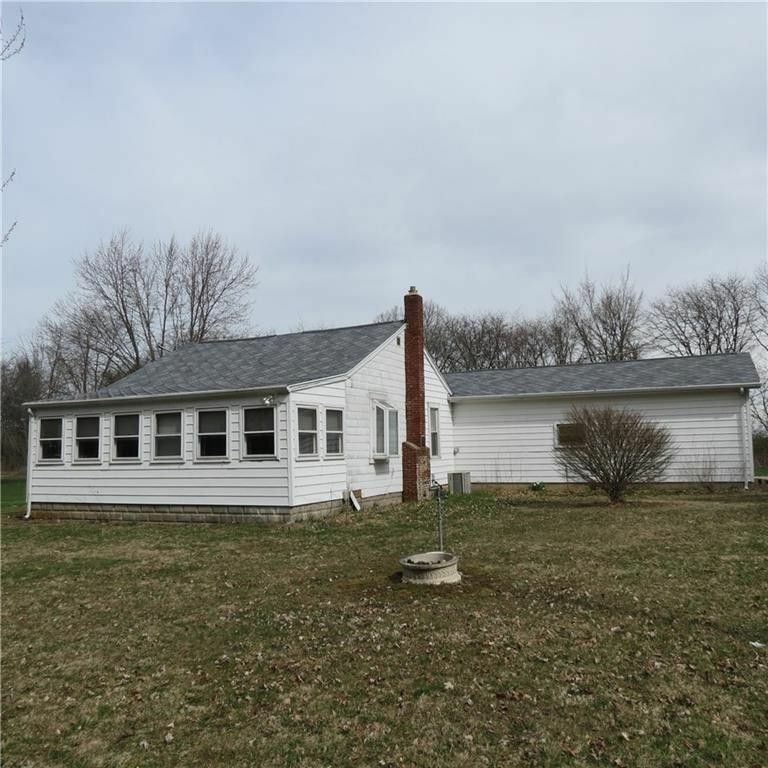 This 2 bedroom one story home has an enclosed front porch, living and dining and a kitchen, one bath and a utility/mechanical room. To the back is a mud room that opens to another enclosed sun room or to the huge 3 car garage with very ample space for a workshop. Outside there is an old trailer that is ready to be recycled and another barn in need of repair. The property runs from the cemetery to the farm field to the East and back to the woods. This home has been in the family for nearly 100 years and the seller is hoping to have a buyer that will enjoy it, restore it and make it home. Directions: East on St. Rt. 29 to right on McCloskey School Rd., left on Leatherwood Creek Rd, then slight left on Sidney Plattsville Rd.